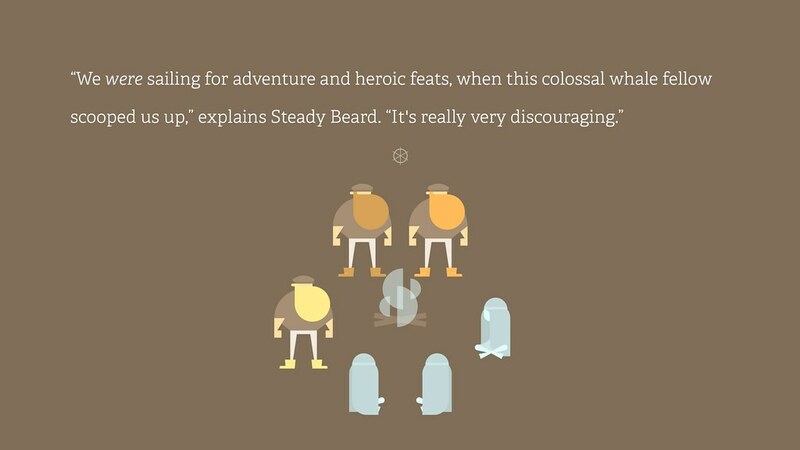 I’m the creative half of indie duo Brain&Brain: drawer of beards and writer of salty exclamations in folktale adventure Burly Men at Sea, coming to both PS4 and PS Vita on September 19. Burly Men at Sea tells a branching story of the unlikely adventures of the Brothers Beard as they muddle their way through encounters with creatures from Scandinavian folklore. You’ll play the role of storyteller, shaping the narrative around our ungainly heroes. With its short branching story and discoverable choices, the game is designed to be played multiple times for entirely different voyages (though we do encourage breaks). There’s even a mystery, of sorts, waiting at the end of each playthrough, for those curious enough to find it. 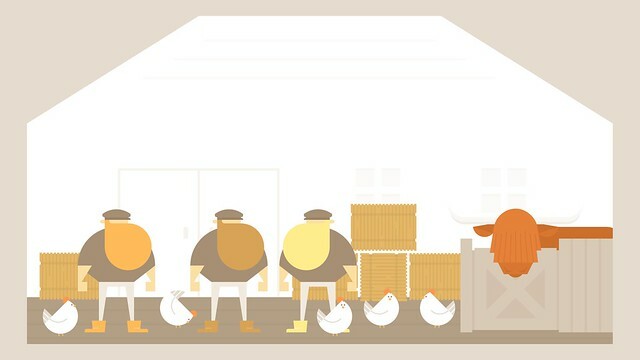 As a game that celebrates adventure, it’s fitting that most of Burly Men at Sea’s development and its original release took place during a weird journey of our own. The two of us spent eighteen months traveling North America as nomads, starting out as farmhands in Oregon and ending at the old mill in the Ozarks we now call home. We lived in a tiny house community, an old mining town in the Rockies, and more. You can see a map of the points in between on our website. And so, we’re excited to finally introduce our beardy fellas to you next month, in all their newly 4K vector crispness. The game is cross-buy, with trophies, avatars, and cross-save support. We hope it makes you smile. P.S. 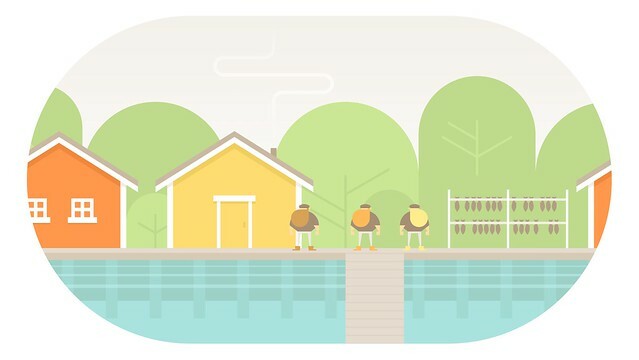 If you’ll be at PAX West, come by Sony’s booth to play Burly Men at Sea before its release! Yeah!! can’t wait as well as Greggy, gonna play it in my Vita for sure. Does my beard come with the pre-order? “A true beard is not pre-ordered but earned,” replied the nymphs. Omgg it’s gonna be that good then. Yes Vita!! And cool that you guys are giving avatars too. Bring it on!